This one's an eight-week sprint in collective motivation. Bring some goals and enjoy the support, encouragement, and thought partnership from the group as we work through challenges and create habits to build and sustain momentum. and meets every Wednesday until May 29th. Beth is passionate about digital marketing and is a self professed “numbers-geek”. Her client relationships extend past the norm to create a working environment that is fun and open. Beth launched pocket after more nearly two decades of working for big agencies. She now takes this experience with a strong team who are obsessive about great work that resonates powerfully with the desired target. Join us for a goals workshop before we hit the ground running on April 10th towards our 8-week goal. Brainstorm your big goal and ensure you're setting SMART goals week to week. Sometimes you need someone else holding you accountable. Each session will be a gut check on how you're tracking towards your (SMART) goals and to uncover where you're stuck and how the group can help. 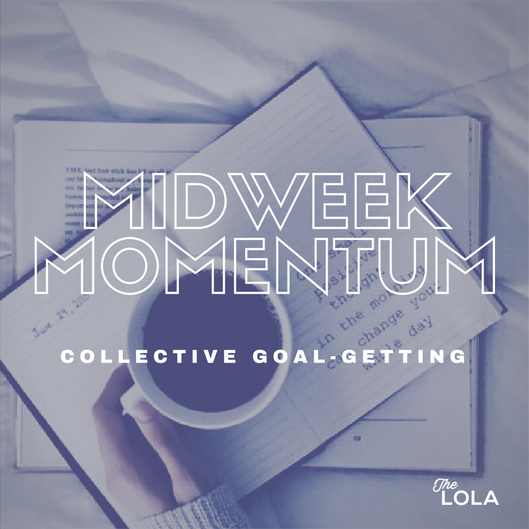 Weekly sessions in collective goal-getting.